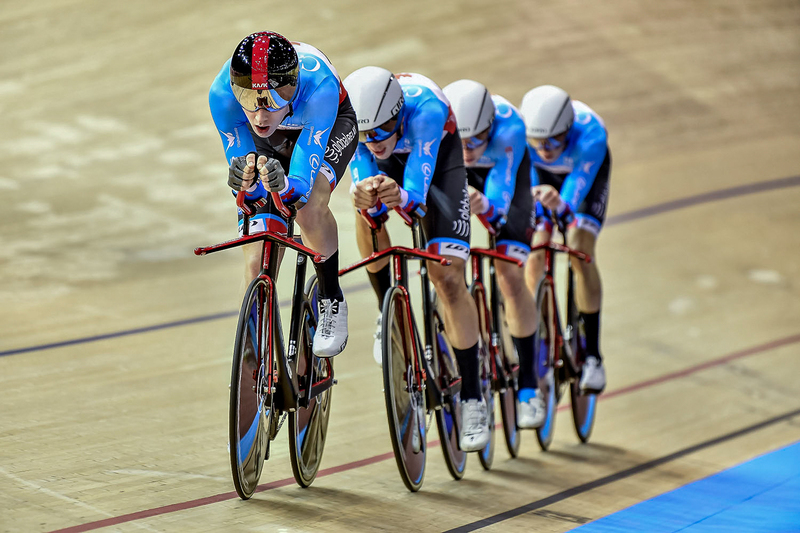 Team Canada opened the third round of the Track World Cup with two bronze medals and a new national record on Friday in Berlin, Germany. 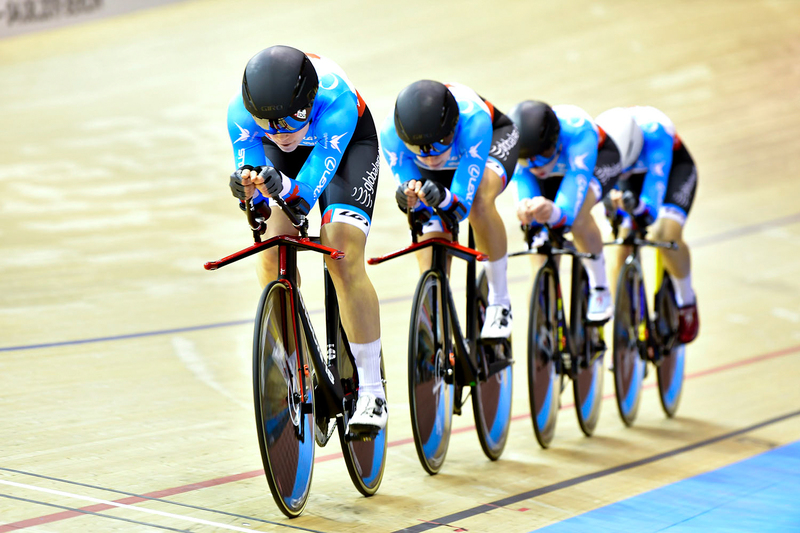 Both the women's and men's Team Pursuit squads won bronze medals, while the men's team also set a new Canadian record in one of their rides. 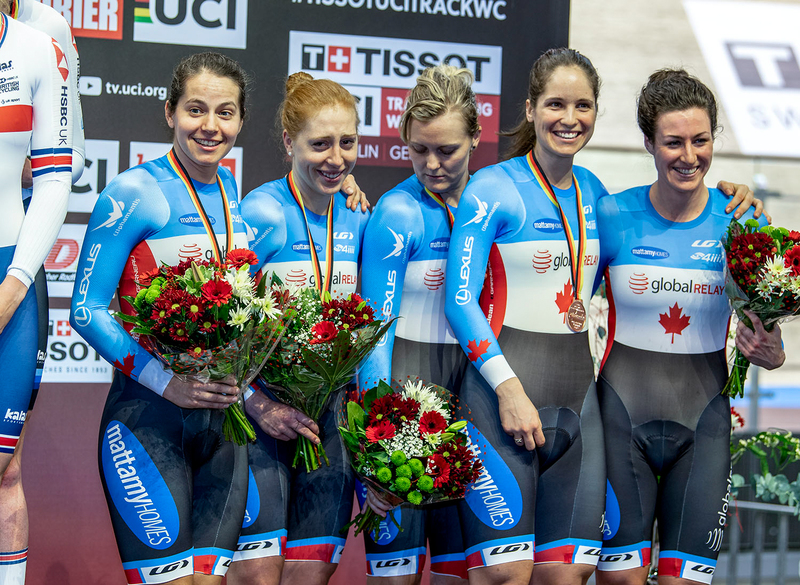 The women's team of Allison Beveridge, Ariane Bonhomme, Annie Foreman-Mackey, Kinley Gibson and Steph Roorda qualified fourth and raced the Italian team in the bronze medal final, catching their rivals to win the medal. Great Britain beat Australia in the gold medal final. "We were pretty disappointed in our first ride," said Foreman-Mackey. "We didn't execute in the way that we knew we could. We mixed things up a bit for the next round and the Finals, gaining five seconds. That's the fastest that we have gone since Rio [Olympics], and I think that we can be encouraged with how things are trending. There's still lots of work to to do, heading towards Worlds, but I think we can be encouraged to be on the podium." 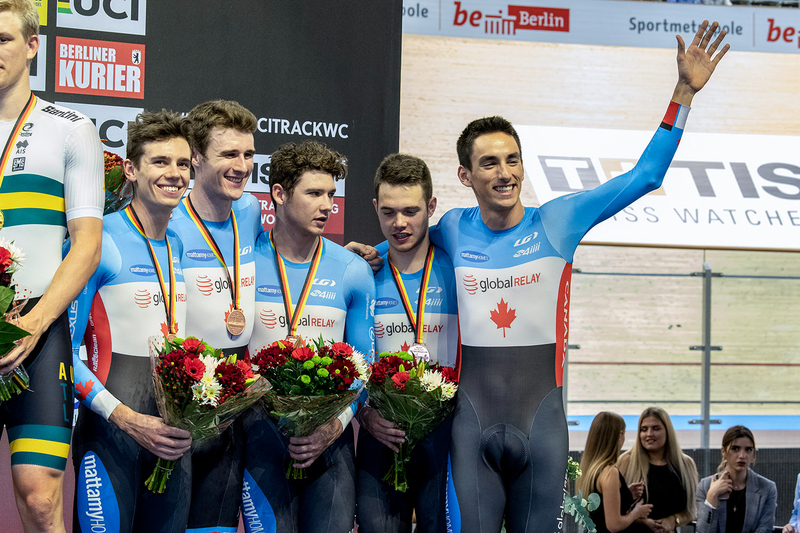 In the men's competition, Canada qualified fifth, but set a new national record of 3:54.682 in the next round to qualify for the bronze medal race. The team consisted of Aidan Caves, Michael Foley, Derek Gee, Adam Jamieson and Jay Lamoureux. In the medal race, the Canadian team beat the British trade team Huub Wattbike to win the medal. Australia beat Denmark for the gold medal. "This was a really big achievement for our program," said Jay Lamoureux. "I think it's a huge stepping stone for what we need to do over the next few years. We are all really excited over what's to come." In other competition, the Canadian team of Lauriane Genest and Amelia Walsh finished 13th in qualifying for the women's Team Sprint and did not advance to the next round.